It’s late in the year for best of last year, but it’s rainy here today and I didn’t feel like mucking up already-soft trails and coming home all gunky. 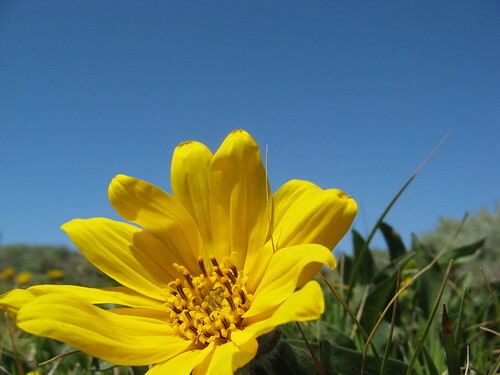 Furthermore, I’m going to be off in gearland through the end of next weekend, so I wanted to have at least something on the blog this weekend, as it’s likely next weekend’ll be a bust. The year started out in most of my usual Bay Area haunts, and ended exploring entirely new trails in the Triad region of North Carolina (also known as Tobacco and Underwear Central). What I recall from my smoking days: Winston was the rough, manly smoke while Salem was the girly menthol. We landed about three miles from the Hanes Mall. But I digress (like that’s a surprise). 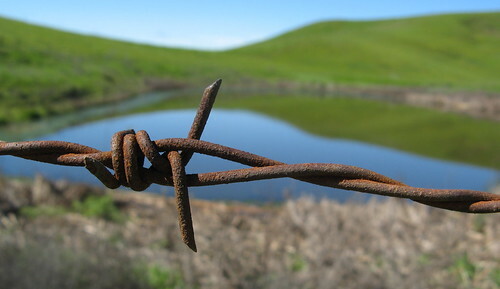 Barbed wire at Briones Regional Park, April 12. Write-up here. 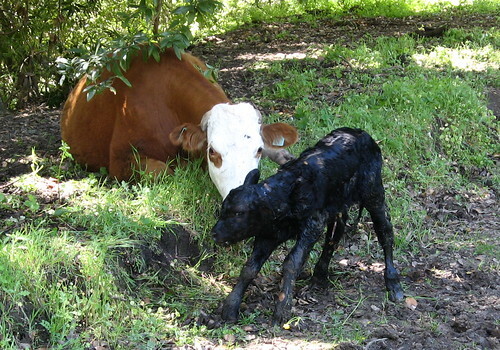 Newborn calf photographed on the same hike at Briones. 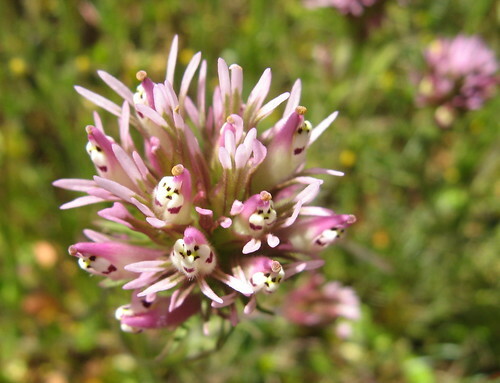 Owl’s clover with little ghost faces, taken a week later at Calero County Park. Write-up here. 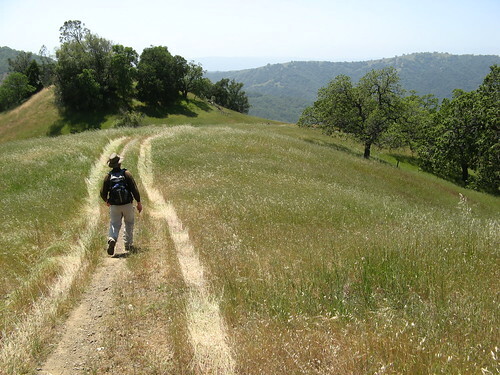 Winehiker Russ at Henry Coe State Park, April 27. Write-up here. 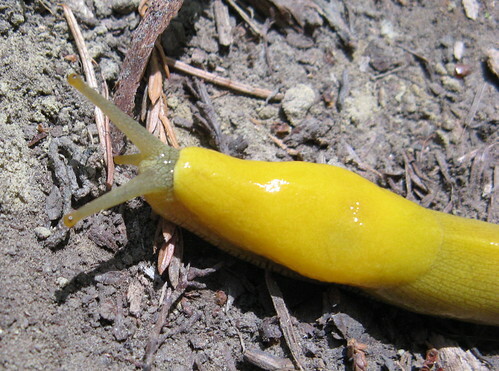 Banana slug at Big Basin Redwoods State Park, June 8. Write-up here. 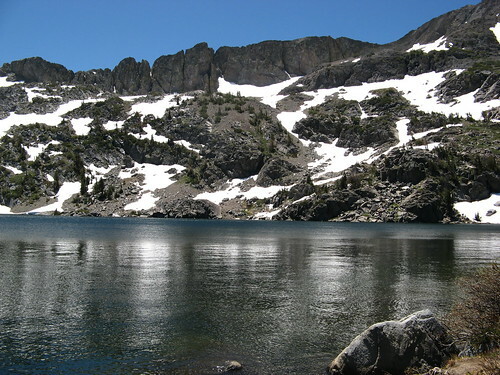 Lake Winnemucca on the Sierra Crest, July 6. Write-up here. 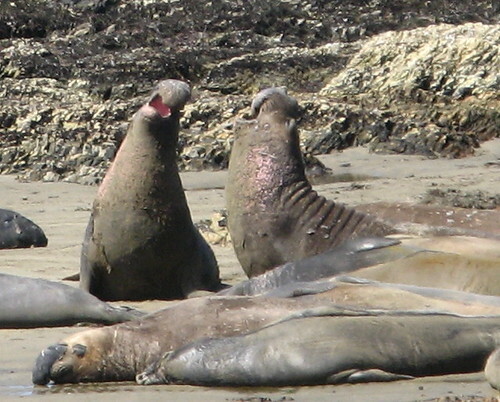 Elephant seals at Año Nuevo State Park, July 13. Write-up here. 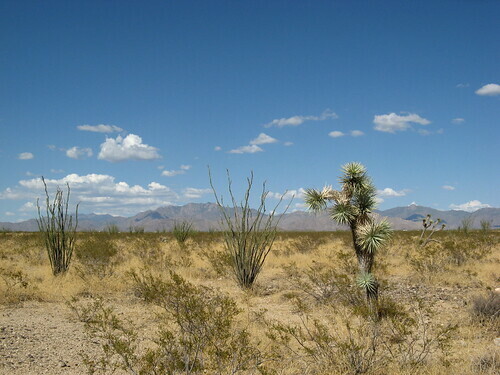 Desert on the Arizona side of the Colorado River, Aug. 11. Write-up here. 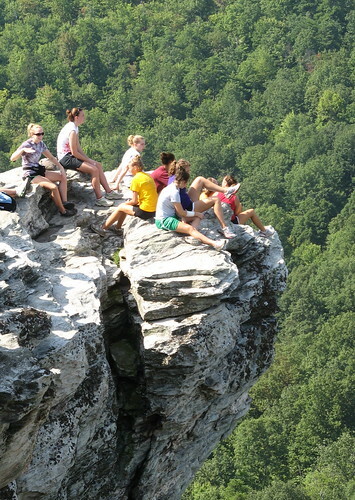 Teens on the edge, Hanging Rock State Park, Sept. 5. Write-up here. 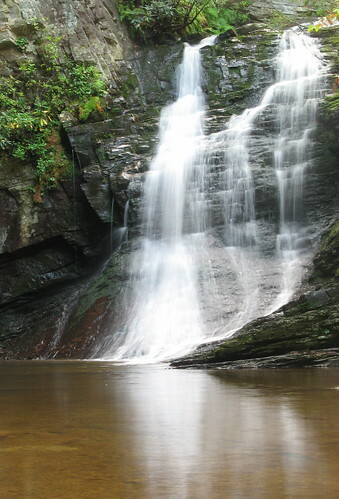 Lower Cascade Falls, Hanging Rock State Park, Sept. 19. Write-up here. 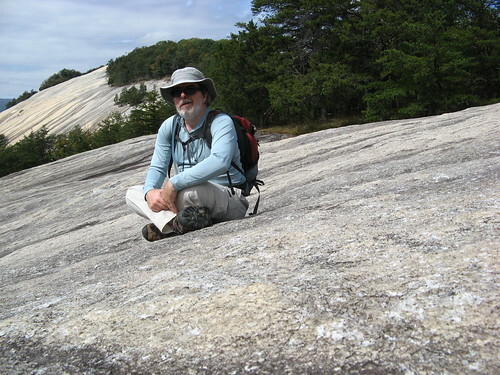 Self-portrait, Stone Mountain State Park, Oct. 11. Write-up here. 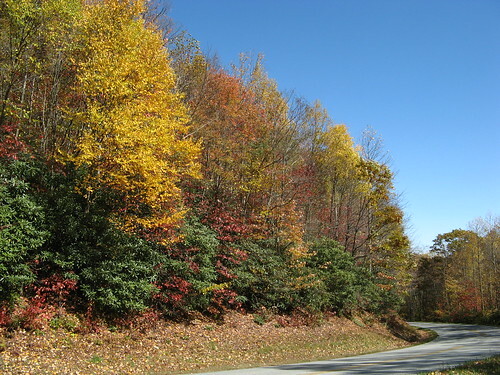 Fall color, Blue Ridge Parkway, Oct. 18. Write-up here. 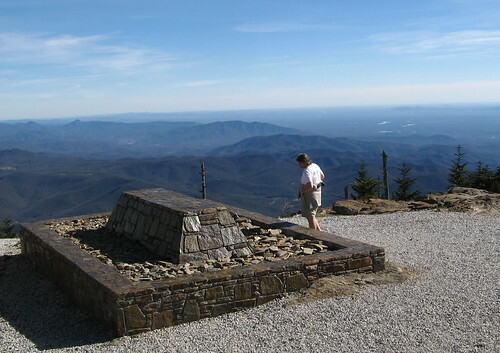 Elisha Mitchell’s grave, Mount Mitchell summit, Nov 16. Write-up here. 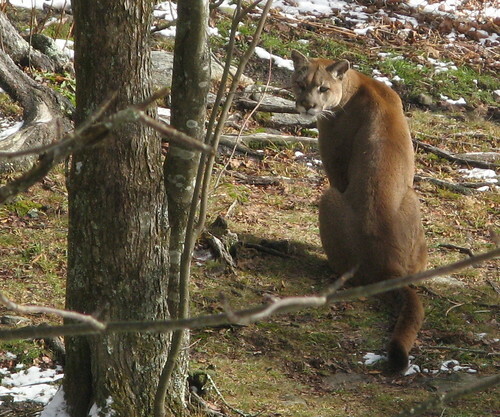 Captive mountain lion, Grandfather Mountain Ecological Reserve, Dec. 6. Write-up here. Not a bad year when you look at the pictures, eh? WOW! A modern day Ansel Adams – you have a good eye for form and tone.